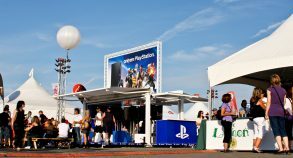 Playstation worked with Steel Space Concepts to create an interactive marketing solution using an SSLite 8 and an SS20 unit. 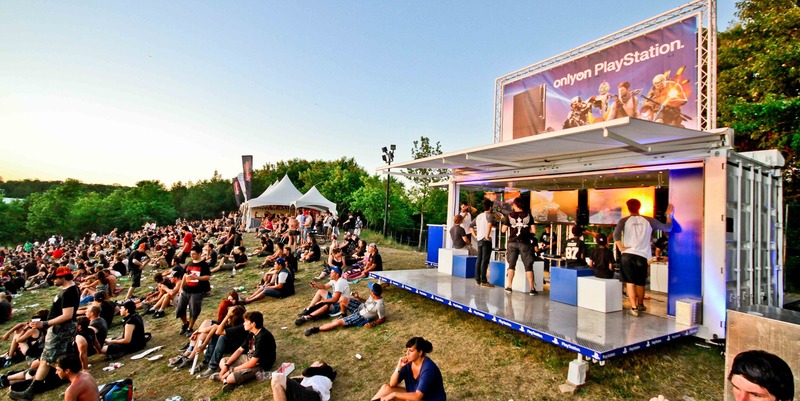 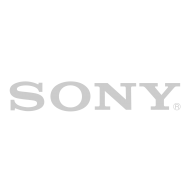 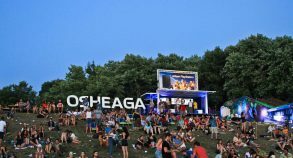 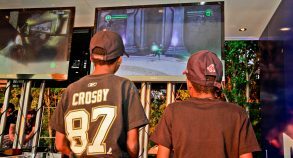 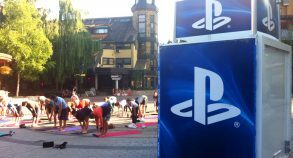 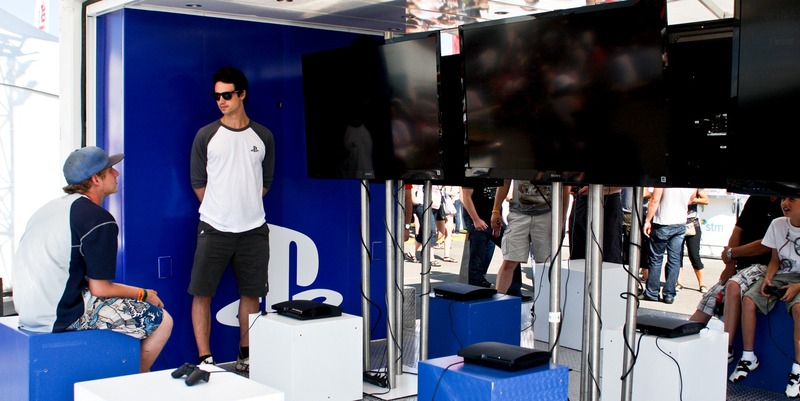 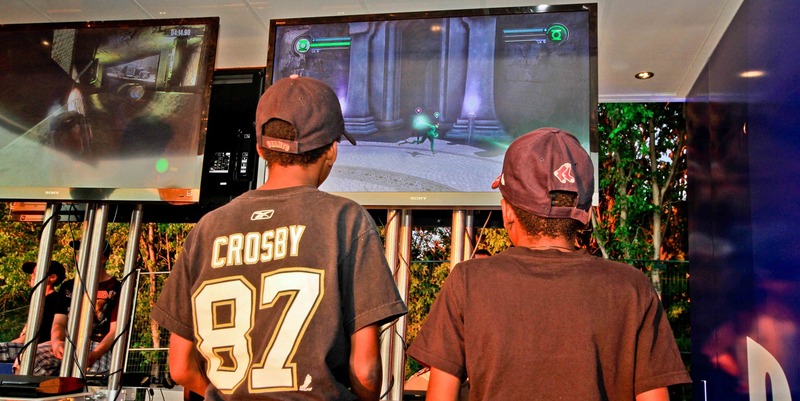 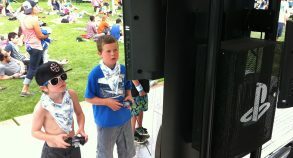 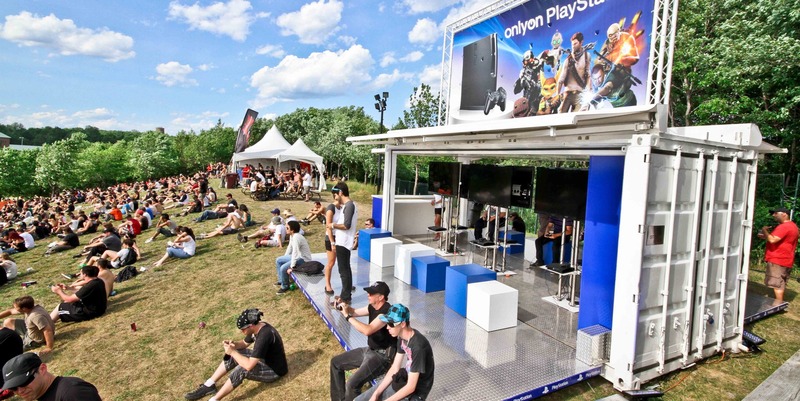 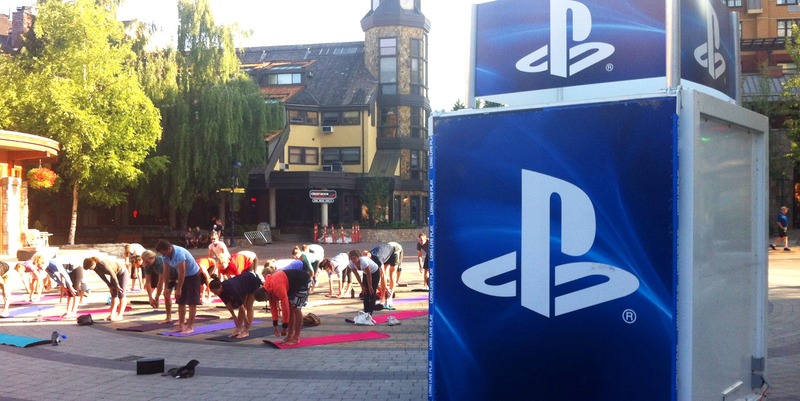 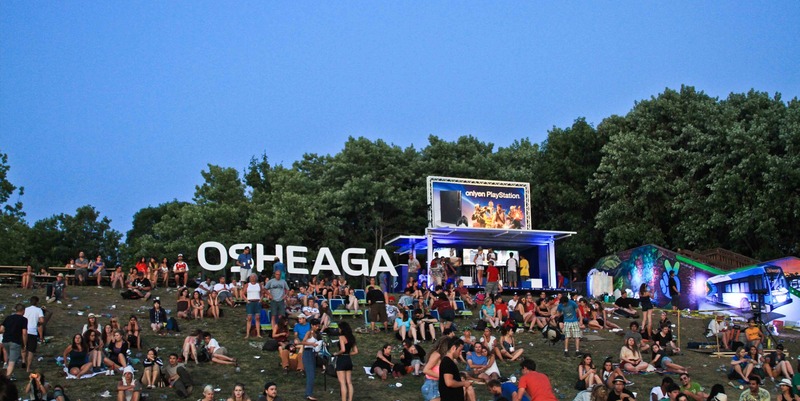 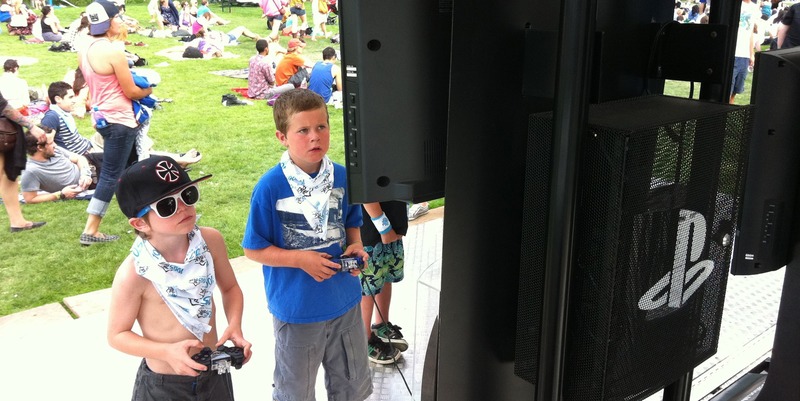 The company wanted to promote its Playstation 3 console and some new exclusive online games during the Osheaga Music Festival at Parc Jean-Drapeau. 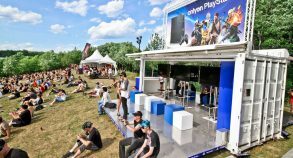 The event, which attracts thousands of festival-goers every year, targets the same audience as Playstation: teenagers and young millennials. 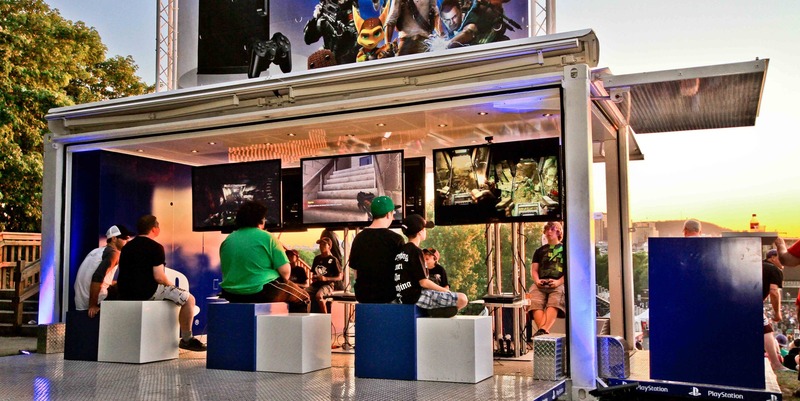 Six playing stations with large TV screens and benches were installed in the SS20 unit and three in the smaller SSLite8 unit. 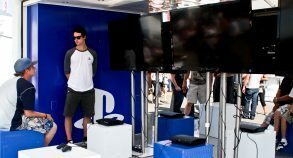 Players were encouraged to play individually or in teams. 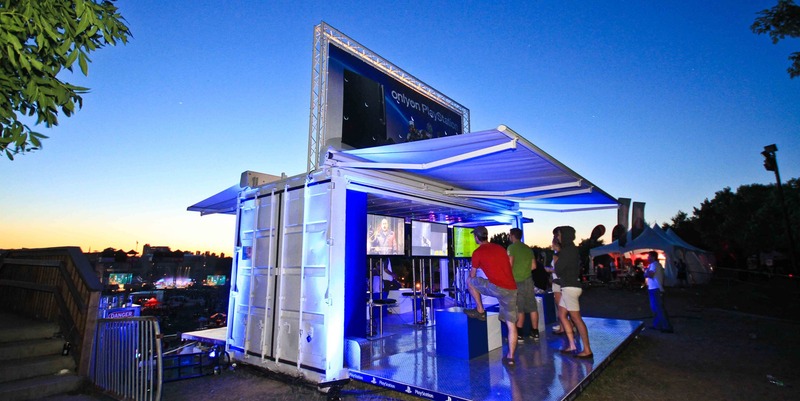 Large illuminated branded billboards on the roof of the containers made the units visible from a distance in the crowd and attracted the attention of passers-by. 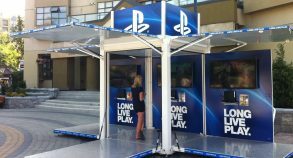 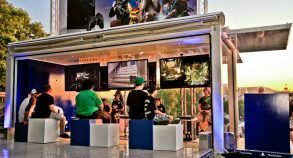 Modified shipping container solutions enable companies like Playstation to extend their target market beyond the normal boundaries of their business. 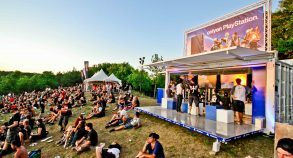 The units’ unique architecture offered the company limitless location flexibility close to all the festival action. 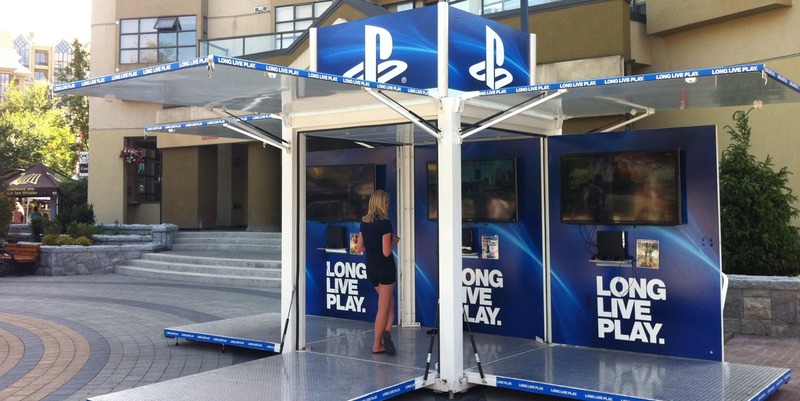 For companies like Playstation, whose main distribution channel is their website and online or retail stores, an interactive physical store can be the ideal solution to attract new clients and encourage consumer interaction with their products (they can try before they buy!). This type of setup also helps build brand loyalty and increase sales. 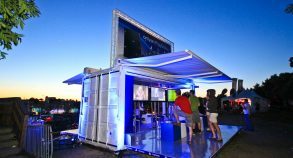 In addition, modified shipping containers can be easily moved from town to town and around the world for future marketing campaigns.